Match with all kinds of insulin pen in the market, effectively prevent the acupuncture accident. Achieve the function of protecting the needle tip automatically. Painless needle point design with three cutting sections and thin wall needle tube with big flow. Use as normal insulin pen needle, no special steps. Screw up the insulin pen needle onto the pen. Adjusting the dose and position to do skin injection, the needle point protector will rebound automatically along with the injection. After injection, the needle protector will return to protect the needle tip. Screw off the insulin pen needle, the needle point protector can not go back again, and can be discarded. Manufacturer and products certified by ISO9001 ISO13845 CE GMP. Compatible with market popular product for flexible choice. 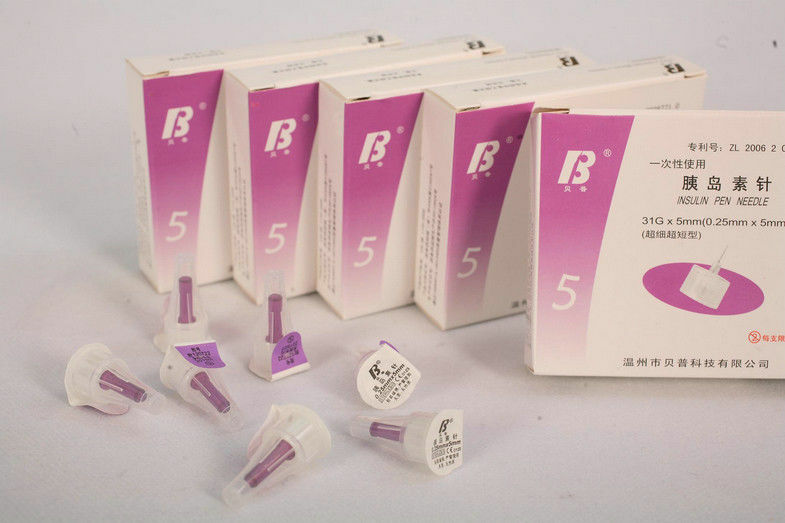 Rated as smooth injection needles made in China by healthcare professionals and patients in European and American.